Holy City Skin Products we specialize in Making Dead Sea Salt scrubs in a variety of scents. Holy City Skin Products is a Charleston-based company that captures the essence of the area and specializes in all natural Dead Sea salt scrubs. We make our scrubs locally and offer them in a variety of scents. When we originally created our salt scrubs, it was evident from the very start that anyone who tried the products fell in love with them instantly and would buy jars for themselves as well as gifts for family and friends. When we witnessed this immediate positive reaction from our early customers, it inspired us to make our skin products available to everyone. Today, our products are sold online as well as in some of the local Charleston-area restaurants and establishments. Our Parent Company HYMAN'S SEAFOOD offers our complete product line in their gift shop. Don't forget to stop in at the restaurant when you are visiting the Holy City. 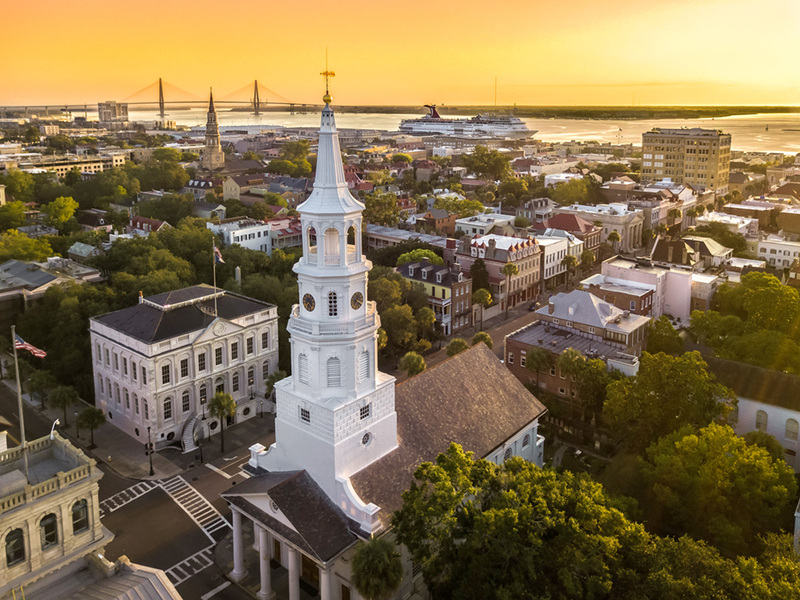 Charleston, South Carolina is known as “the Holy City” as it has welcomed settlers and visitors of all religions from all around the world since the 1670s. Immigrants brought Roman Catholicism, Judaism, and a number of Protestant denominations with them, creating a religiously tolerant home for all. The city was first called Charles Towne, named for King Charles II, and has faced two wars, invading armies, and battles with both pirates and Indians. Multiple hurricanes and even an earthquake have created trouble for the city, but Charleston’s people restored and rebuilt the town each time. Much of the historical town has remained intact and the city has a number of historic churches and steeples that make up the cityscape and act as a reminder of the great importance that religion has had on the town.